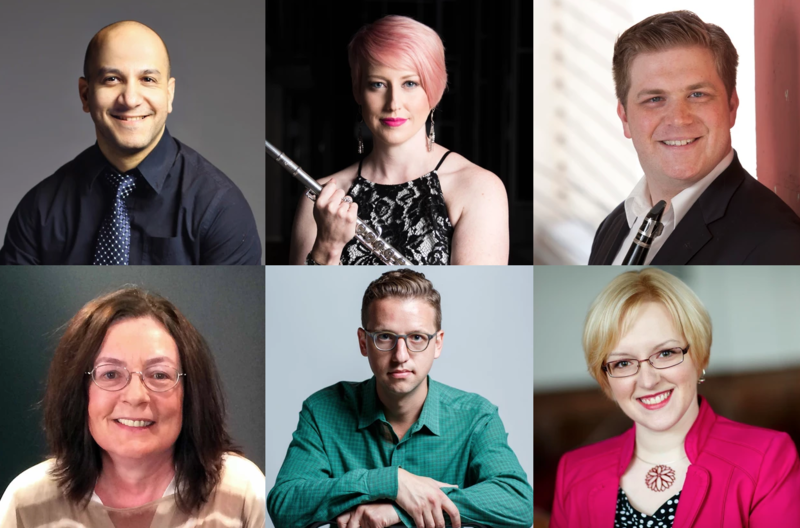 American Serenade is a program of modern American concerti, showcasing the world-class musicians of our Resonance Chamber Orchestra as soloists. Each piece on the program is distinctly American, highlighting some of the finest American composers of the last 75 years, and drawing influences from a range of genres of American music, including blues and jazz. The centerpiece of the program is Bernstein’s Serenade, performed by Resonance Works concertmaster Sandro Leal-Santiesteban. Considered by many to be the finest piece of music Bernstein ever wrote, Serenade is said to have resulted from a rereading of Plato’s Symposium, the dialogue concerned with the nature and purpose of love. Clarinetist Ryan Leonard performs Copland’s Clarinet Concerto, which was originally composed for Benny Goodman and incorporates many jazz and Latin American elements. Flutist Lindsey Goodman will perform a world-premiere flute concerto by Pittsburgh composer Nancy Galbraith. Rounding out the program is Andrew Norman's Gran Turismo and Joan Tower’s iconic Petroushkates, which she describes as a “carnival on ice.”Conductors Maria Sensi Sellner and Daniel Nesta Curtis share the podium for our season finale.